Build Time: Usually ships within 3 business days.. Please allow up to 2 weeks for out-of-stock items. Free shipping when included with any cat furniture order. 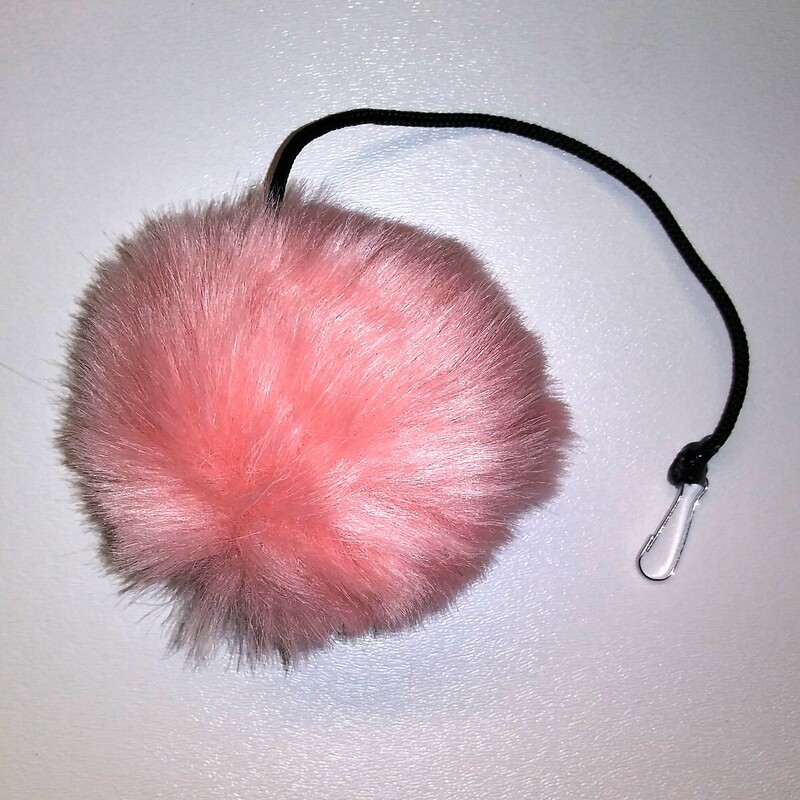 This hanging cat toy comes attached to 7" of chord and a metal clip. These toys are fiber-filled with faux fur. The chords are threaded from the bottom & through the toy to the top, tied with double-knots & hot glued to the seam at the bottom of the toy and to the metal clip to prevent loss of adhesion with the chord. Each toy comes with an eye-bolt for attaching to a cat tree. The eye-bolt will need to be installed in order to clip on the toy to an existing cat tree.